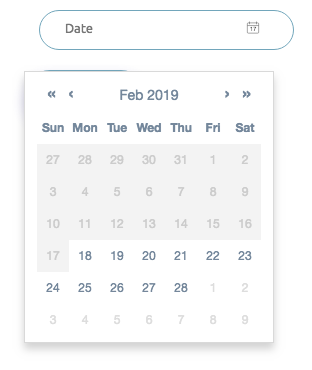 This dockerized app lets anyone who needs to schedule meetings with their clients to do so without relying on any third party SAAS application. Sales persons can have their own personal URLs that may be inserted into e-mails they send to prospective clients. 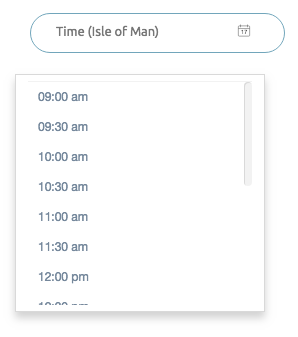 Gets the client's browser locale and timezone: converts available time slots in relation with your company's office hours, ensuring that clients will see the time slots in their own local time. 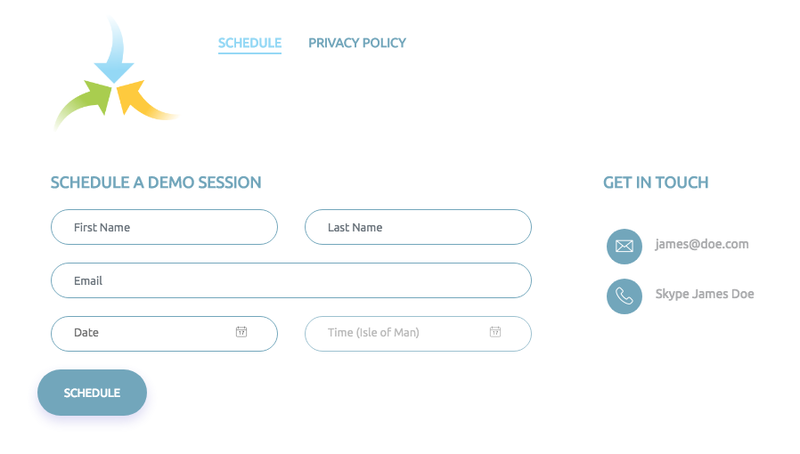 Automatic email will be sent to the member of the sales team whose URL had been used by the client to schedule a meeting. Uses reliable and widely used stack: Docker, nginx, MongoDB, node.js, Express.js, MailGun, Vue.js, Bootstrap, Mocha and Chai. Utilises a REST API inspired by the elegant object-oriented boilerplate code developed by kylealwyn. MongoDB and Mongoose are used for storing data. The API has been extensively unit-tested with Mocha and Chai. Many originate from kylealwyn's original code and new tests have been added for most of the additional functionality developed for scheduling. Bootstrap enables responsiveness and compatibility with mobile devices.